Stone Sports Management LLC (“SSM”) announces Nigerian International Left Back Elderson's signing with 26-time Finnish Champion Helsingin Jalkapalloklubi ("HJK") for the 2019 season. Elderson joins HJK after spending time with the club during its preseason in Antalaya, Turkey and determining it is the right fit. He started both training matches and scored HJK's first goal in its second match against Ukranian side Obolon Kiev. Elderson brings a wealth of top-level experience having been capped 59 times with the Nigerian National Team, including winning the 2013 African Cup of Nations and a member of the 2010 and 2018 World Cup teams. He also has played in France's Ligue 1 with Stade Rennais FC and AS Monaco, Spain's LaLiga with SPorting Gijon, Portugal's Liga Nos with SC Braga and in Belgium's top league with Standard Liege and Cercle Brugge among others. "Congratulations to Elderson and HJK on agreeing to terms ahead of HJK's 2019 season,” says SSM's President and USSF Licensed Intermediary Justin B. Stone. “Elderson makes HJK undoubtedly stronger as they embark on defending its league title and on its European run this summer. Elderson most recently was under contract with AS Monaco until June 30, 2018 after completing his four-year deal. He had been out of contract since summer and was the perfect fit for HJK who searched months for a capable left back. The Finnish Veikkausliiga season starts in April which allows Elderson to use the remaining preseason days to acclimate and return to full fitness. It is expected that the Super Eagle Left Back will play regularly and strong performances could see him compete for his 60th cap ahead of the 2020 African Cup of Nations. Several people were involved behind the scenes to ensure this signing happened. This includes HJK's President Aki Riihilahti, Head Coach Mika Lehkosuo and HJK's Scouting and Technical Staff, Sami Salonen, Massoud Roushandel and R.D. Fernandez. SSM congratulates everyone involved and wishes Elderson and the club well throughout the 2019 season! Stone Sports Management LLC congratulates Phoenix Rising's James Musa on becoming a United States' permanent resident. This is a proud moment for the New Zealand International who first moved to the United States in 2015 with Saint Louis FC. 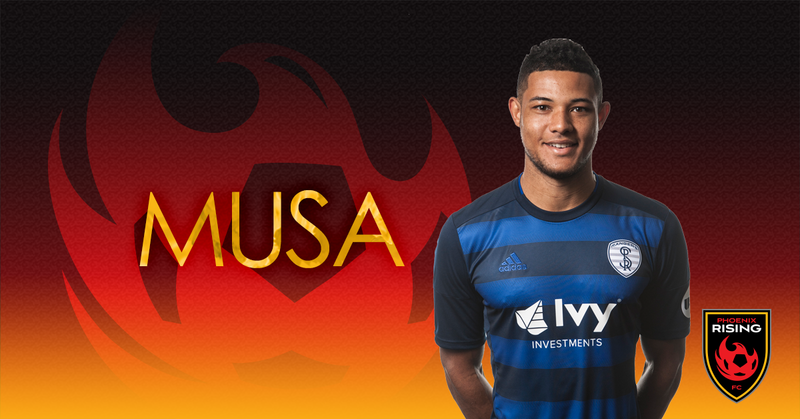 Musa took a leap of faith to ply his trade in the USL and has not looked back becoming one of the most sought after players in the league and helping Swope Park Rangers and Phoenix Rising FC to back to back Western Conference Championships. Musa signed a two-year contract at the start of the 2018 season and will be out of contract at the end of the 2019 season. USL and MLS now recognize Musa as a domestic player so his international roster status will no longer be a barrier. It also helps Phoenix Rising FC free up an international roster slot as it looks to defend its 2018 USL Western Conference title ahead of the 2019 USL Season opener this weekend away at San Antonio FC. Check out below James' special message and would like to echo his thanks to his Immigration Attorney Leon Versfeld and his staff at Versfeld & Hugo Law for their assistance throughout as well as to Sporting KC for initiating the process and Phoenix Rising FC's continued assistance. All the best to James and Phoenix Rising FC during the 2019 season. Click HERE for Phoenix Rising's schedule. 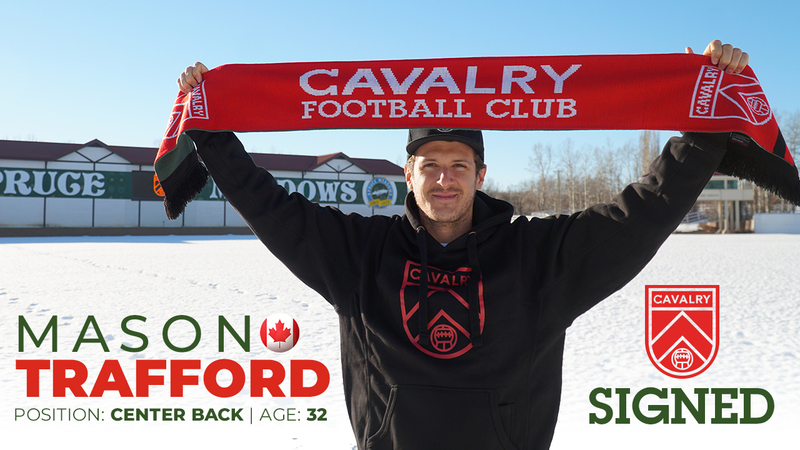 Stone Sports Management LLC (“SSM”) announces Mason Trafford’s multi-year signing with Spruce Meadows Sports and Entertainment Ltd in its operation of the Canadian Premier League’s Cavalry FC. The 32-year-old North Vancouver, BC native returns to Canada to begin his 12th professional season that has seen him play for clubs based in Canada, China, Finland and the United States. Trafford joins the Cavalry after three successful years with Miami FC where he earned 2017 NASL Best XI and 2018 NPSL Conference Best XI, helping the club win the 2018 NPSL Championship and the 2017 NASL Spring Championship and Fall Championship. “Returning to Canada to play for Cavalry FC was an easy decision for me and my family. Southern Alberta has a community that is ready to embrace professional soccer and with solid coaching and support staff and a world-class ownership group, we are going to create a unique soccer experience. My family is largely based in Calgary so it feels like coming home,” says Trafford. Trafford is no stranger to Canadian soccer having started his career with the Vancouver Whitecaps after a successful NCAA career at University of Las Vegas Nevada. In Vancouver, Trafford was known as “Mr. Versatility” due to his multiple positional roles throughout his rookie campaign. He started in the USL Championship game alongside current Cavalry FC Assistant Coach Martin Nash in central midfield who also coached Trafford during his stint with the Ottawa Fury FC. Trafford also boasts tremendous experience and success with expansion clubs, including Miami FC and Ottawa Fury FC. At Ottawa, current Vancouver Whitecaps Head Coach Marc Dos Santos, signed Trafford after a Chinese adventure with Guizhou Zhicheng FC becoming one of a select few Canadians to have played abroad in China. While at Fury FC, Trafford played the second most minutes of any Canadian in the North American league (trailing only Portland Timbers’ Will Johnson) and earned most individual Team of the Week honors. Ottawa Fury FC named Trafford Supporters’ Player of the Year in 2014 and 2015 and Trafford helped the NASL’s best defense to the 2015 NASL Fall Championship and as a Soccer Bowl Finalist. Stone Sports Management LLC (“SSM”) announces Goalkeeper Evan Bush’s new three-year MLS contract with the Montreal Impact. The 32-year-old American born in Concord Township, Ohio continues as the Impact’s longest-tenured player, ensuring that he will dawn the Bleu-blanc-noir colors for over a decade. The Impact reward its 2018 Defensive MVP and Videotron Fans’ Player of the Season for his stellar 2018 performances that included an MLS All-Time 2nd best individual save performance (14 Saves against LAFC on April 21th), 2nd most season Saves since 2009 at 132 and a -6.82 expected Goals Against. The MLS Audi Player Index recognized Bush as the top statistical performer during the 2018 MLS season. The Impact have secured its top Goalkeeper through the 2021 season, and the partnership that enters its ninth season seeks to expand on Bush’s incredible 75% Tournament Winning Percentage (MLS Playoffs, CONCACAF Champions League, Canadian Championship), having never lost in MLS Playoff Regulation. 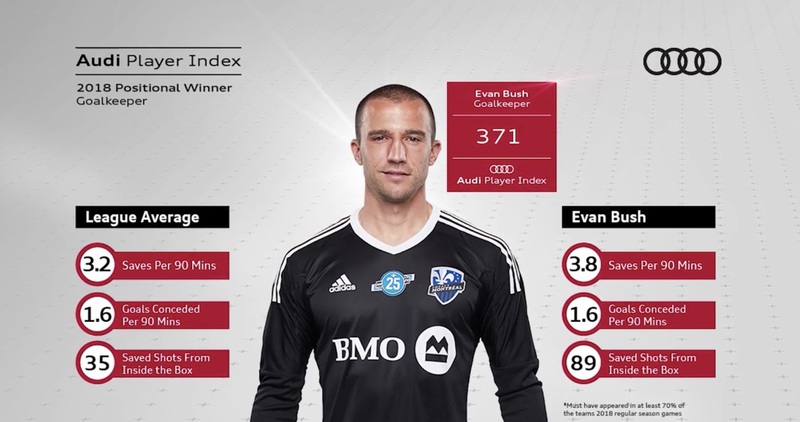 Major League Soccer ("MLS") announced today that Montreal Impact Goalkeeper Evan Bush won the 2018 Audi Index Player Award. The Audi Player Index Award was created in 2015 and rates positive and negative actions of each player on the field depending on the position, tasks, and zones where each action takes place using Opta data. In total there are 88 different components and up to 2,000 registered and evaluated layer actions per match collected live each match. This comes as no surprise for the 2018 Impact Defensive MVP, as Bush led MLS with 132 saves, which was the second most in the last 10 years. He also was just one of a few players who played all minutes during the MLS Regular Season and was ranked second in xGA (-6.82), shots faced (184) and PK Attempts against (8). His 10 shutouts ranked third, and his 71.7% Save Percentage was ranked sixth best within MLS. Evan Bush and Tim Melia were the only two players to claim a Top 15 ranking in 11 different key Goalkeeping categories. Bush was also recognized six times for the MLS Team of the Week (Starter or Bench) and had an incredible 14-save performance against LA FC which was one off the MLS All-Time record (Tony Meola's 15 saves in 1997). Click on this link to watch Matt Doyle and Bobby Warshaw discuss Evan's award and analysis in a recent 3-0 win over Columbus Crew SC. Congrats to Evan on this award and recognition by MLS and Audi! Bush is out of contract after finishing his 4-year deal signed in 2015. Stay tuned for his next destination! Stone Sports Management congratulates Atlanta United FC’s Midfielder Kevin Kratz on winning the AT&T Goal of the Week (9) with an impressive 80% of the vote. Impressively, not only did Kratz score the game-winner in the 78th minute off a Free Kick in a 4-1 win against the Montreal Impact but did one better a few yards further extra time (90+4). Kratz has taken four Free Kicks and has scored 3 out of 4, including the 2017 AT&T Goal of the Week (28). The one he "missed" drew a PK as an opponent in the wall blocked it with his arm. Kratz had only been in the game for 4 minutes before telling Miguel Almiron, who had scored the first goal, he was going to take the kick. After the first goal, it was only right that he took the next one, and he did not disappoint. Now 3 for 4 on free-kicks for the season, I think it is safe to say Kratz is Atlanta’s go-to-guy on free-kicks. When asked about the goals, Kratz stated, “It helped all of us and helped me to be confident when the next free kick is coming up.” To see more of Kevin’s free-kicks in the future, here is the remaining schedule for Atlanta in the 2018 Spring season. Stone Sports Management congratulates Toronto FC II’s Goalkeeper Caleb Patterson-Sewell on earning USL Team of the Week (7) honors for his strong play helping keep TFC's first clean sheet this season in the 0-0 draw against the New York Red Bulls II. It was Patterson-Sewell's first action against the club that traded his MLS rights this past February. On loan from Toronto FC, Patterson-Sewell played his second game against the youthful USL Club. Patterson-Sewell made two saves, including the USL Fans' Choice Save of the Week (7) for his diving game-saving penalty kick stop in the 60th minute on Stefano Bonomo (Watch by Clicking the above Tweet). This is Patterson-Sewell's second accolade Mr. Patterson-Sewell’s trophy case in just as many weeks after helping with Toronto FC's CONCACAF Champions League Final run. Congrats to Patterson-Sewell for his well deserved Team of the Week and Save of the Week! Stone Sports Management LLC (“SSM”) announces Phoenix Rising FC’s (“PRFC”) signing of New Zealand International Defensive Midfielder James Musa to a 2-year deal ahead of the 2018 USL Season. The 25-year old UK Passport holder joins MLS Expansion candidate PRFC from Major League Soccer’s Sporting KC and coming off his most successful professional season and return to the New Zealand National Team. Sporting KC promoted Musa in August 2017 from its affiliate Swope Park Rangers transitioned immediately to a 90-minute start against back to back MLS Western Conference Champions Seattle Sounders, leading Sporting KC in passes (78) and touches (84). Musa earned Swope Park MVP honors and helped the team claim the 2017 Western Conference Championship and back to back USL Cup appearances. Musa is no stranger to PRFC having played against them on several occasions over the past seasons, including a 104 passing (95.3% accuracy) performance. Musa joins PRFC whom recently announced Advantage Sports Union Ltd, led by Chairman Alex Zheng, as part of its already diverse ownership group, which many industry leaders believe is a significant piece for the club to land an MLS expansion franchise during the next expansion round. PRFC’s most identifiable player is Chelsea and Ivory Coast legend Didier Drogba who also is part owner. It is expected Musa will complement an already impressive USL roster with MLS, International and USL All-League experience to compete against the USL’s elite franchises. Musa started his United States career with Saint Louis FC joining them on a 2-year contract in its inaugural season. The club’s first Captain was a consistent starter (starting 27 games each season) and made an off-season loan to Team Wellington. Musa made his professional debut with Australian A-league outfit Wellington Phoenix during the 2010-11 season and would later sign with Waitakere City helping them to the Finals and earned a U20 New Zealand World Cup selection. After impressing during the 2012 London Olympics, Musa signed with Fulham FC and spent time on loan to Conference club Hereford. In the 2013-14 season, Musa returned to New Zealand with Team Wellington of the ASB Premiership (2013/14 season) and led the club to the Grand Finals and Oceania Champions League birth. He then signed w/South Melbourne FC for 2-years and was a backline staple. PRFC returns to Arizona this weekend after playing in the club’s first international friendly yesterday in Ecuador and begins USL play March 17 against Orange County SC before making its home debut March 24 versus OKC Energy FC. Click HERE to watch Musa’s 2017 Sporting KC/ Swope Park Rangers Highlights and make sure to follow James on Instagram: musa41_. 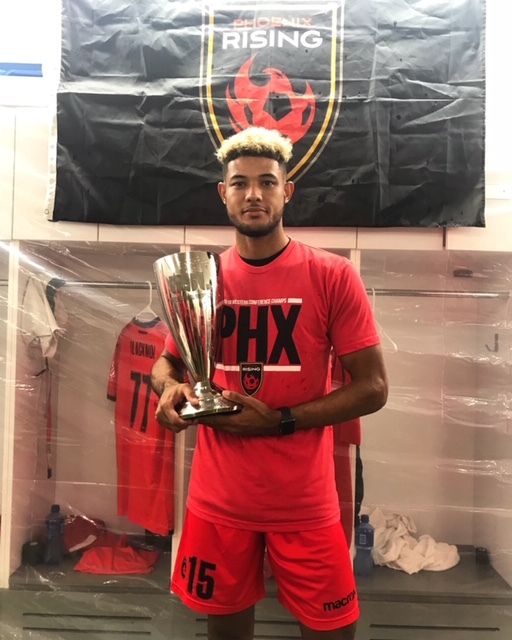 Congratulations to James Musa and make sure to follow him this season by clicking on Phoenix Rising FC’s schedule HERE.